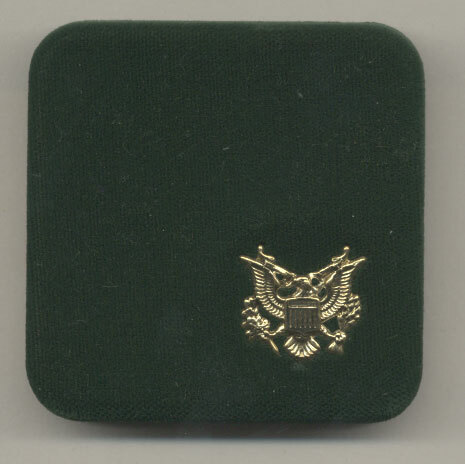 Offered here is a medal and case commemorating the 1901 and 1905 inaugurations of Theodore Roosevelt as President of the United States. As shown in the pictures above, the medal, a little larger than a half dollar, is in nice condition with Roosevelt's portrait on the front and the dates of the inaugurations noted on the back. This medal is unusual in noting both inauguration dates. It was issued by the United States Mint and the date of issuance is unknown. The first inauguration was devoid of ceremony because Roosevelt was sworn in immediately after President McKinley's assassination. Roosevelt ran for President again in 1912 and was unsuccessful and his run as the Progressive Party nominee assured the election of Woodrow Wilson.